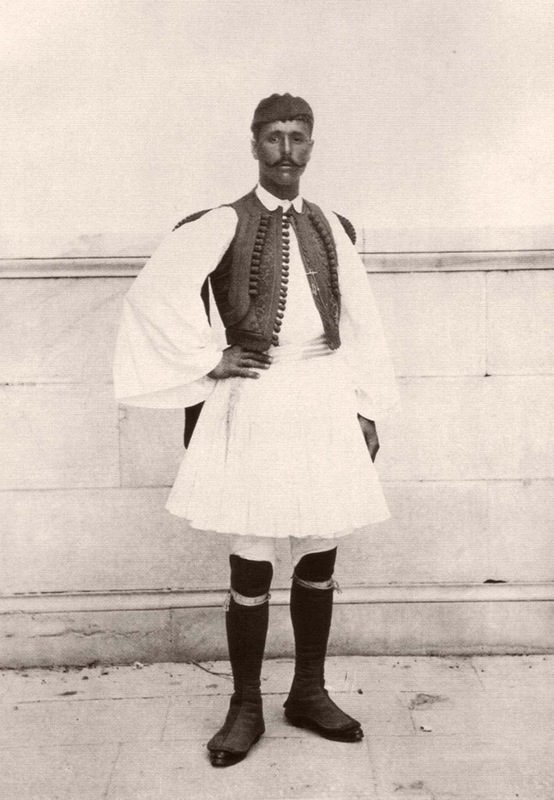 The traditional pleated skirt-like garment that Spyros Louis is wearing is called fustanella. The fustanella is thought originally to have been a Tosk Albanian costume introduced into Greek territories during the Ottoman period. It subsequently became part of the national dress of Greece as a consequence of the migration and settlement of Albanians in the region. During this era of post-independence Greece, parts of Greek society such as townspeople shed their Turkish-style clothing and adopted the fustanella which symbolised solidarity with new Greek democracy. 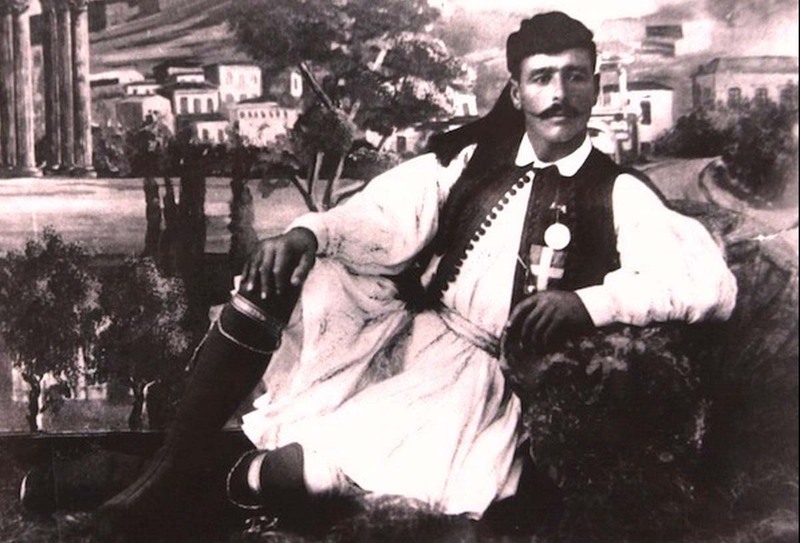 It became difficult thereafter to distinguish the fustanella as clothing worn by male Arvanites (Orthodox Christian Albanians) from clothing worn by wider parts of Greek society.